DVD is full screen format, not widescreen 16:9. 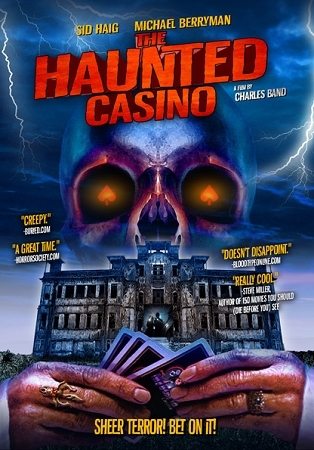 After Inheriting a casino from his dead uncle, Matthew Dragna (Scott White), his girl friend J.J (Robin Sydeny) and a group of friends take a road trip to the outskirts of Las Vegas, where they find the run-down Mysteria Casino . 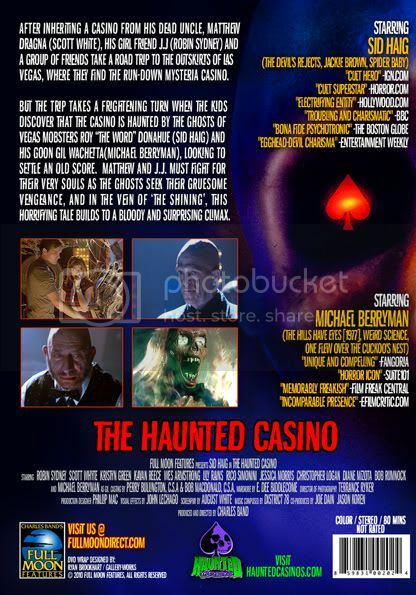 But the trip takes a frightening turn when the kids discover that the casino is haunted by the ghost of Vegas mobster Roy "The Word" Donahue (Sid Haig) and his goon Gil Wachetta (Michael Berryman), looking to settle an old score. Matthew and J.J. must fight for their very souls as the ghost seek their grusome vengeance, and in the vein of "The Shining, this horrifying tale builds to a bloody and surprising climax.